The colder months are fast upon us now and it’s important not to forget the basics to keep our pout looking perfect as the days get shorter and the temperatures drop. When the temperatures drop, it’s easy to forget our thirst and keeping up our daily water intake can seem more challenging. Remaining hydrated is key to preventing dry skin, hair and nails from within and protecting from harsh environmental factors like central heating. 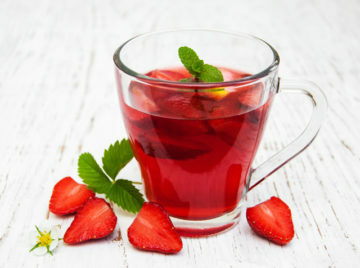 But don’t forget you can get all the benefits on water by switching to warm water served with a slice of fresh lemon or switch to fruity berry teas to keep your water levels up even on the coldest of days. Great lips start with a smooth, clean surface. Use a gentle exfoliator to remove any peeling and smooth your lips as part of your skincare routine. You don’t need to splash out on fancy products, just a small dot of your usual skin cleanser rubbed over on your finger in a circular motion for about a minute will work wonders or invest in a natural fibre wash cloth for all over gentle exfoliation. Avoid lip products containing petrolatum as this is a mineral oil by product of gasoline production which can be toxic when consumed. 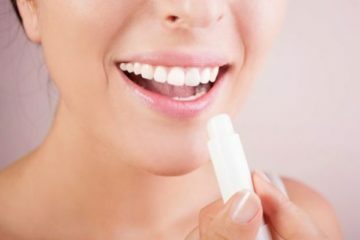 You consume up to 25% of your lip balm with every application and so it is not good for health over time. It may seal lips from the outside but it does not offer anything beneficial to the lips. Switch to natural products containing wax (such as bees wax) or with natural oils such as jojoba or olive oil for the ultimate in nourishment. For an inexpensive quick fix, try some extra virgin olive oil directly onto the lips. Bold lip colours are amazing in the autumn months to offset the deeper colours that come through in fashion but they can be hard to keep on the lips and to avoid looking dry very quickly. Lip primers are excellent to keep the lips smooth and soft but also bold colours in place for longer. If you like a softer look, we love products like Burt’s Bees Replenishing Lip Balm which comes in a number of darker tinted shades for a nourishing but stunning darker natural tint to the lips. Licking the lips seems like an instant way to moisten drying lips but it will worsen any chapping. Exercise self control to prevent doing this as it may be a difficult habit to break. If you really can’t resist, try a natural lip plumper enriched with spice so you won’t lick your lips when it is on, products like Carmex are fantastic for this. Avoid products containing menthol or camphor which are known to dry lips out and can cause sensitivity or cracking. Excellent trainers who have loads of knowledge that only comes with experience. Enjoyed both courses I’ve done at The Beauty Academy and they’ve left me feeling very confident in my treatments.